Prom couples may be seniors but they can still be kids at heart. 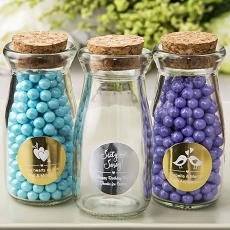 Delight them with fun treats inside a vintage style milk jar personalized with your prom message. 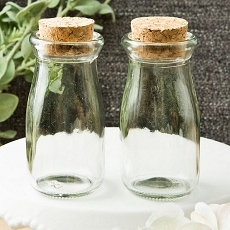 Fill the bottles with spices, bath salts, spices, chocolates or candy treats. 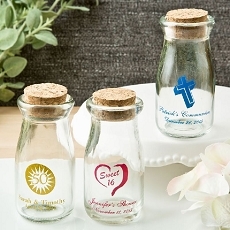 Place a hand written message inside and you have a fabulous and unique favor for your prom night! 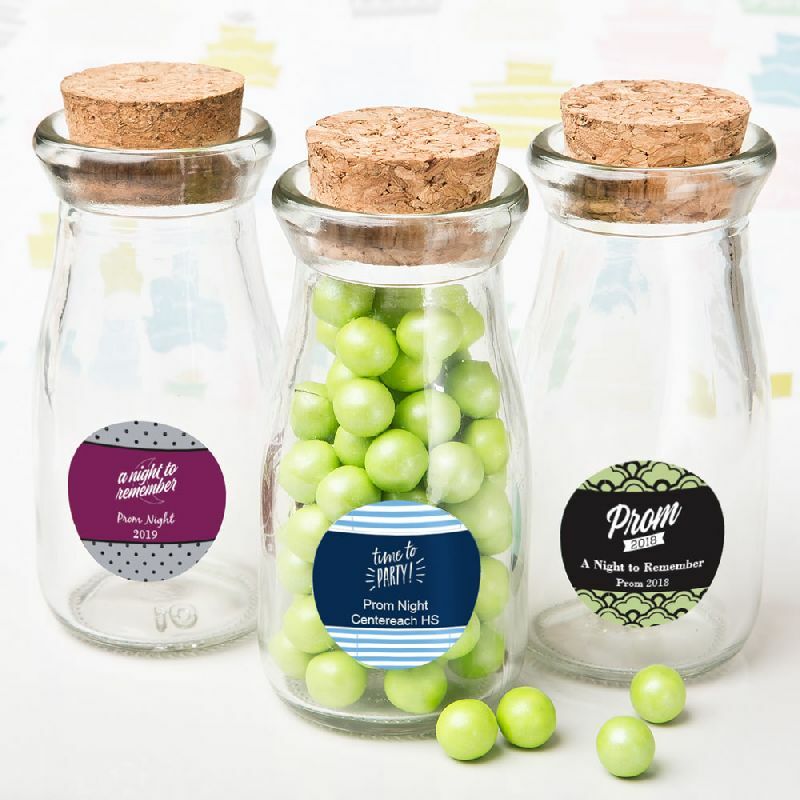 Add extra appeal when you personalized the bottle with a prom themed label in your choice of color combinations, border styles and titles. 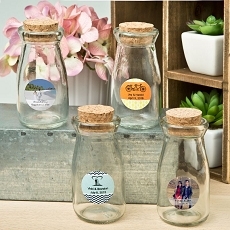 Use our unique label designer tool and preview your very own creation before you purchase.